First new post using Vista (I’m a glutton for punishment), so if you notice any odd formatting errors please feel free to let me know! Airsoft Skirmish Shop will be at the Malvern Military Convention on the 1st April 2007 in Hall 2, selling lots of Airsoft Kit. We will be showing the new Classic Army Scar and the new Deep Fire M72A2 Launcher, Both are available on Pre Order… please contact me for details. 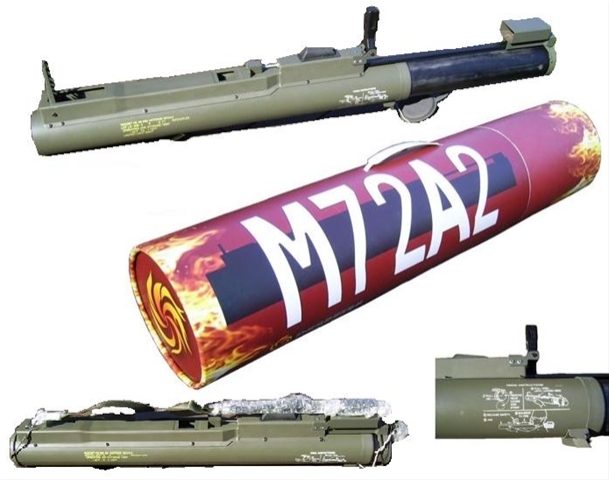 The Deep Fire M72A2 Launcher uses any 40mm M203 gas shell. I Have tested this launcher with several shells and it works great. The unit comes with 2 foam balls which also can be launched by a gas only loaded shell. The unit is reloaded by centre breech which can be accessed when the unit is in the closed position. The launcher extends just like the real thing and with the sprung loaded sights popping up as well. Get in early for the bargains.